For those who have both an iPod and iPhone, iPod 2 iPhone gives you the power to take control of your music and video collection. Quickly compare the contents of your devices, remove hundreds of duplicates in seconds, sort by Artist, Genre, Album, or even groupings of similar songs, then drag and drop between your iPod and iPhone/Touch. Find duplicate songs and remove them quickly.Enhanced searching and grouping of songs. Quickly find all the songs which are present on your iPod but not on your iPhone/Touch, and transfer the ones you are missing. It is easy to end up having duplicate songs on your iPod/iPhone, iPod 2 iPhone tracks these duplications and allows you to remove them in seconds. 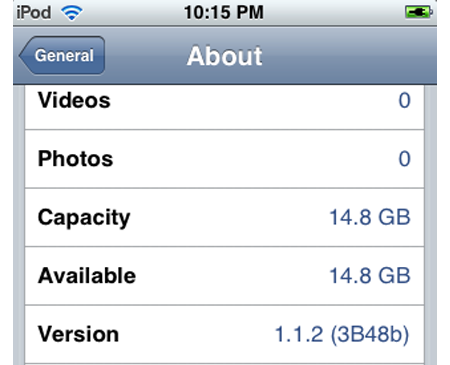 It also optimizes storage space on your iPod/iPhone allowing you to store more songs! * Drag and Drop Songs, Playlists or Video between your iPod and iPhone/Touch. * Move entire genres, albums and artists. * Enhanced searching and grouping of songs. * Find duplicate songs and remove them quickly. * Automatic backups painless restores. Qweas is providing links to iPod 2 iPhone 3.65 as a courtesy, and makes no representations regarding iPod 2 iPhone or any other applications or any information related thereto. Any questions, complaints or claims regarding this application iPod 2 iPhone 3.65 must be directed to the appropriate software vendor. You may click the publisher link of iPod 2 iPhone on the top of this page to get more details about the vendor.